I’m aware that very few know about Tizen let alone the bits and bobs that make it what it is so, for the greater audience, here’s a summary of some key points. This slide is pretty much self explanatory but I’ll elaborate so we are on the same page. 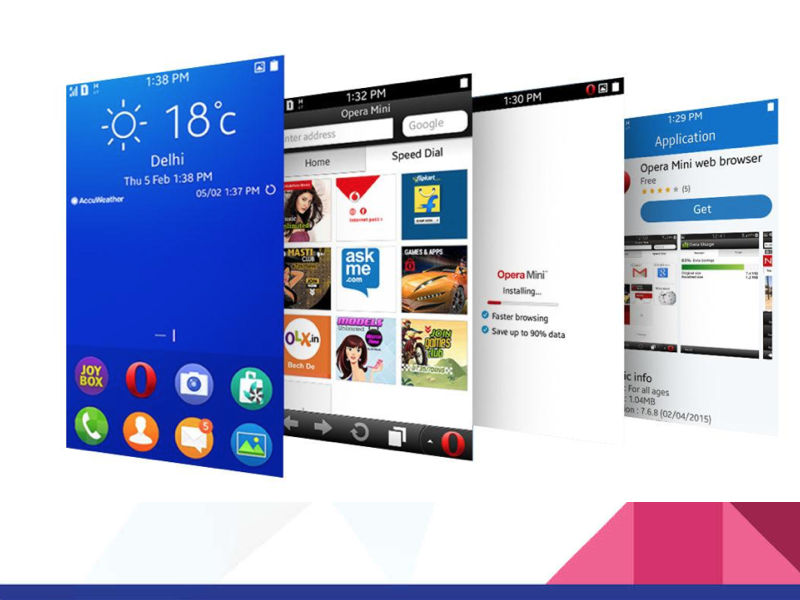 – Tizen OS is developed by Samsung and the most popular version on devices currently is Version 2.4. – Has backing/association to companies like Intel, Huawei, Panasonic etc. – In existence since 2012 (it’s young!). 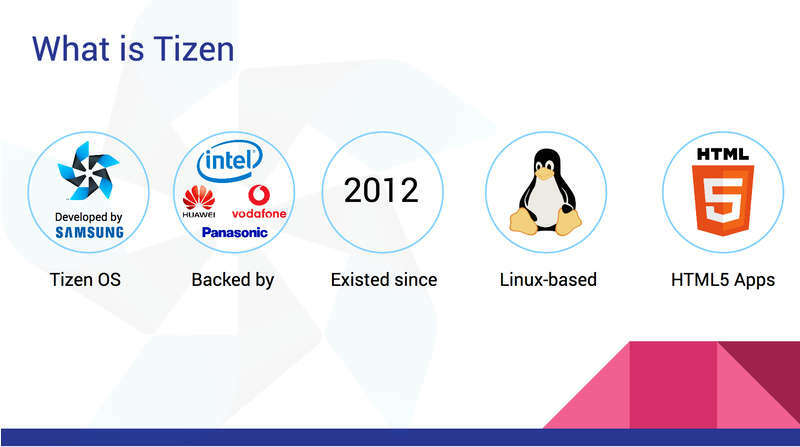 – Tizen OS is a Linux-based open-source operating system. – Apart from a few native apps which are pre-installed on devices for instance, calendar and calculator apps, it relies on HTML5 apps to accomplish many functions. 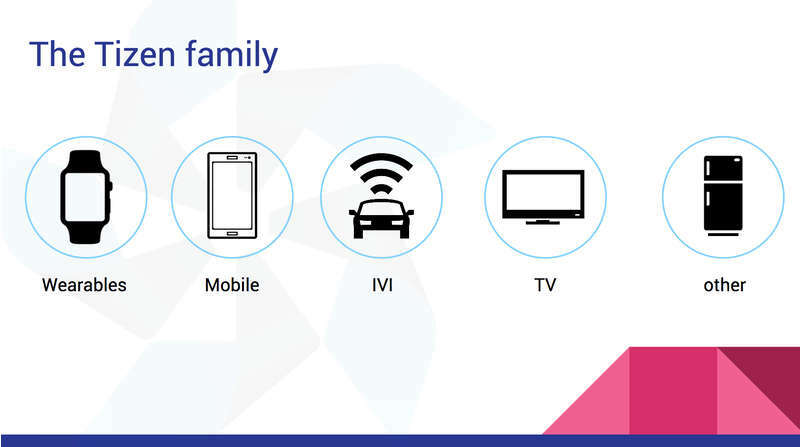 “Other” being appliances that will be running Tizen OS in the near future. Anyways, let’s move on to those bits and bobs I mentioned earlier. Design should complement the content. When designing, content should be displayed with degrees of importance and be delivered at the right time. Only show information to the user if its required thus maximising your screen real-estate. If content is not as important, display it outside of the main body of content like “saving a screenshot” which is displaying in the notification bar. The process of accessing content should be an enjoyable experience for the user. This can be achieved by creating visually compelling layouts, engaging and interactive graphics which will enhance a users experience. 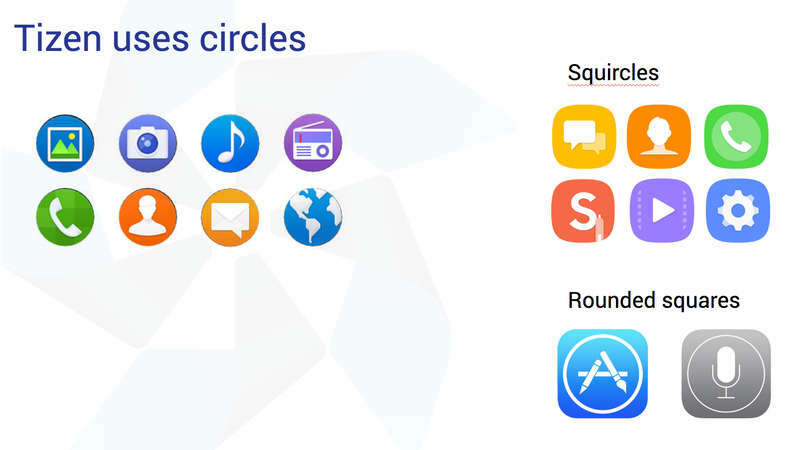 Tizen uses circles compared to other platforms which make use of rounded squares and squircles. and That’s all Folks :)…. For now. But wait, there’s more. So much more. With those few pointers in mind, if you feel that you may want to delve deeper into Tizen development, Samsung has an incentive program currently running which ends 31 October 2017. 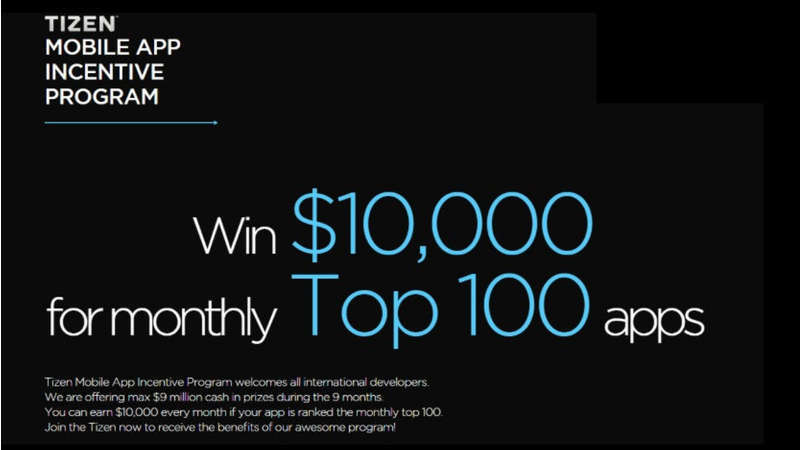 Basically, you build an app, you apply to have your app in the program and then if your app has enough downloads across all Tizen devices on which it’s available, you could win yourself $10,000 worth of Samsung Prizes. Pretty neat, right! Here you’ll find Tizen’s very own IDE for building your apps, guides to help you get started with your first app and a very helpful community with whom you can troubleshoot any issues you may experience during the process of building your app.